Let Us Help You Explore Your New Home! We work for you, the new home owner. We provide an honest, clear view of your prospective home. We provide a very detailed report with photos. Ray's Home Inspections has been doing inspections in the Bitterroot valley since 2013. Ray is a former Builder, and a Trades and Industries Educator. He taught in Montana and Colorado for a total of 37 years, and worked part time as an ICBO and UBC inspector for 30 years. The move to being a Home Inspector was a natural transition, bringing with him a lifetime of experience and education. Ray works out of his home in Florence and travels up and down the valley and into Missoula and beyond. We provide a very detailed inspection report, with many pictures. We don't cut corners and use " canned comments". The report averages 50 pages of high quality photos and comments, "good and bad" about the structure. We report honestly so that you are aware of what you are buying. These are typical photos taken of houses that we have inspected. We make sure that we get into and onto every detail of the structure and it's contents. Detailed comments accompany the photos in the report. Highly Educated and Experienced Inspector. Flexible Hours. Call Us for an Appointment. 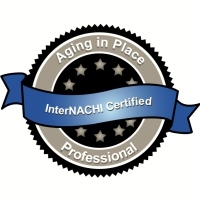 Ray is a member of interNACHI, an organization for inspectors to self educate, certify and re-certify for the various specialties in Home Inspecting. Radon inspection is one of specialty tests we perform. We have the equipment to provide you with a printed report of Radon levels in your prospective home. This takes 48 hours and is an additional fee. The customer is our main concern. We provide an unbiased assesment of your prospective home. This may be the largest and most important investment of your life. We do our best to make sure you have all the details you need to make a good decision. Our experience is our best asset. We have over 40 years of experience in construction, including teaching about the trades associated with construction.